Zara reopens the doors to its emblematic store in Corso Vittorio Emanuele de Milan, the first to be opened by the brand in Italy. Deemed one of the most representative global flagships, it is reopening with a new exclusive image after undergoing a bold refurbishment that has taken four months. The store, which spans an area of 3,500 m², revives the essence of the original 1941 building (the emblematic Astra cinema in Milan) with an exclusive architectural image that incorporates the latest technology aimed at satisfying the new buying experiences of the client. TRISON is responsible for the technological integration of the new space for Zara in the fashion capital. From the moment the client steps foot in the store they perceive the incredible acoustics of the building, equipped from top to bottom with invisible speakers. In addition to improving the aesthetic of the store with hidden speakers, this specific hardware offers a uniform sound that uses the ceiling to spread the sound evenly. In TRISON it’s very clear to us that the way we “see” the sound has a huge impact in the way we perceive it. The flagship incorporates interactive mirrors equipped with RFID which enables the identification of the garments of interest to the clients, allowing them to visualise suggested combinations with other garments and accessories selected by a specialist team of stylists and designers from the brand. The information about the latest collections remains permanently updated via screens within the store, among which two stand out: a curved 9 metre high and 9 metre wide screen that covers the ground and first floors and offers an immersive experience due to its convex shape, and 8 other screens that form a 18 metres high large screen that rises up through all the floors of the store alongside the escalators. All of them have a 3.9 pixel LED and are latest technology. 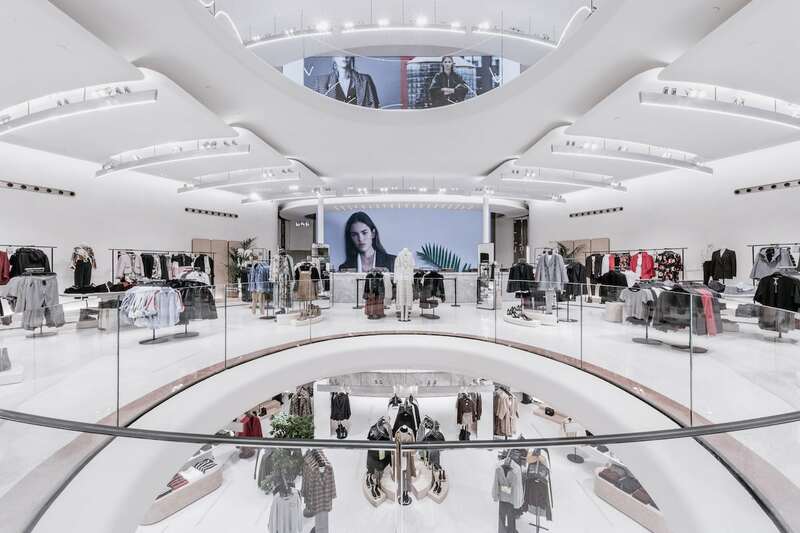 The new Zara flagship incorporates a new online department which it is dedicated exclusively to the purchase and collection of online orders. The new department aims to offer an integrated, comfortable and pleasant buying experience. Clients can access a selection of the latest proposals by the brand and purchase them immediately through the webpage while in-store. Close to Duomo, the flagship for the Inditex group, christened Cinema Zara by the brand, celebrated the store’s opening party to which 1,200 people attended. 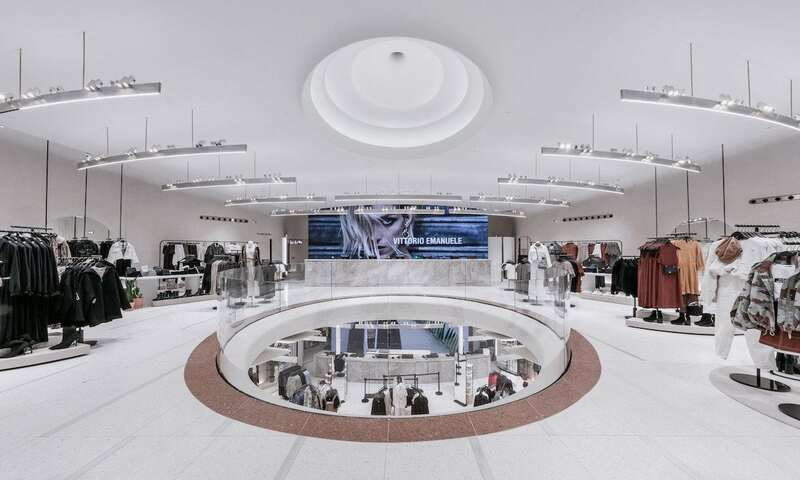 With the opening of this new flagship, the Inditex group currently has 7,448 stores around the world technologically integrated by TRISON, 392 of which are located in Italy.